A Japanese pet collar, with a symbol of blessing. 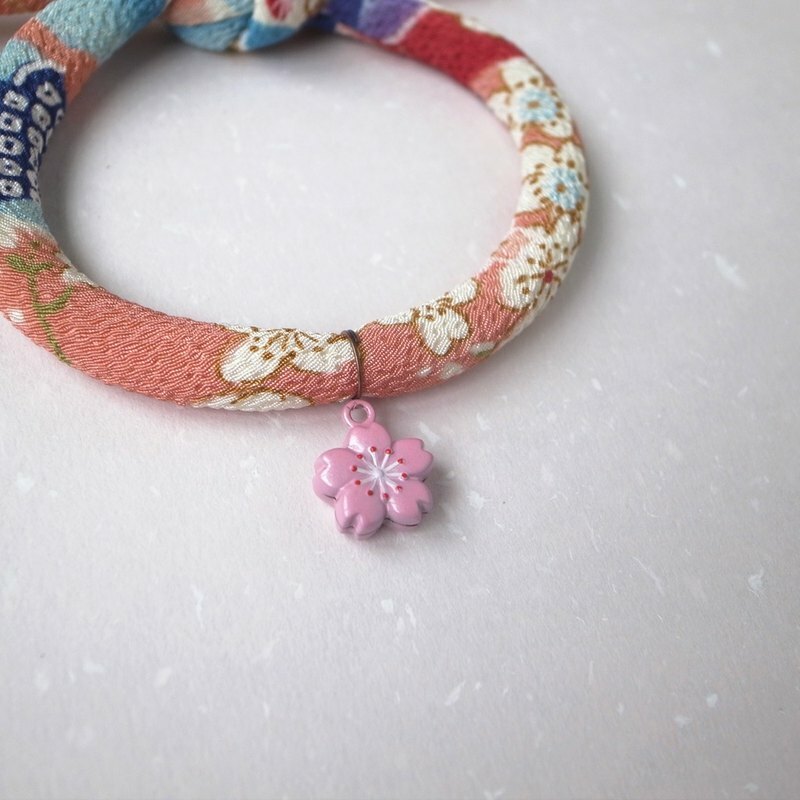 The collar is made of Japanese kimono fabric. Material from Japan Hand-made 【Styles】 - Single knot collar - With two ways to tie the collar, it can be converted from a fixed knot collar to a Breakaway Safety collar. https://farm9.staticflickr.com/8778/28799383806_4e6a70b1f5_m.jpg 【Sizes】 Small size Fits Neck Sizes：20-30cm Collar Width：1cm Applicable to adult cats; mini dogs ※	The size of the pet's neck will affect the length of the collar's tips. This collar is made to order, and sizes range from rabbit collars to collars for large dogs, please send us a Pinkoi message. Attached: A diagram of the proper tying method of the collar. ----- ◆ Please allow for some variation in color between different devices and screens. Actual colors may vary. ◆ Hand wash only. ◆ This product is handmade, and so each one cannot be 100% identical. ◆ We do not recommend attaching this collar to a leash. ◆ We recommend leaving one to two fingers' worth of space between your pet's neck and the collar. ◆ If your pet reacts poorly to wearing this collar (for example, by biting it) please use it with discretion. ◆ Tying method for the Breakaway Safety Collar Please test the collar to make sure it is tied properly, and falls off when pulled.